We guarantee to save any public company at least 25% versus any other competitor or we will adjust our rates. Furthermore we are the only industry provider to offer Unlimited EDGAR & XBRL Filings inclusive of registration statements, all for a low annual fee. If you're tired of receiving monthly or even weekly invoices and statements then our Unlimited Filings Package is the best option for you. Worried about last minute changes? Our dedicated team is available 7 days a week - 24 hours a day to handle any alterations you may have before filing with the Securities and Exchange Commission. With M2 Compliance your EDGARizing requirements and XBRL tagging will be handled in a timely manner by a designated account manager that will communicate with you throughout every step of the process. M2 Compliance prides itself on delivering the fastest turnaround time in the industry for EDGAR & XBRL while providing the highest standards of customer service and quality assurance. Our commitment is to take the burden away from you by converting your financial statements and reports into compliant EDGAR filings and interactive data submissions in accordance with the SEC formatting guidelines. I just wanted extend a sincere "THANK YOU" and let you know how much we (and our client) appreciated your over-the-top efforts to expedite the edgarization and XBRL tagging for the Hancock Jaffe Form 10Q. I was blown away when I saw the XBRL report at 7:30 this morning, when we were still sending changes in the night before! You guys ROCK! You went above and beyond for us and we are very grateful! I was extremely happy with the performance of M2 Compliance on our 10-K filing. I must say I was a bit embarrassed by not only the number of edits but also the changes so close to the filing deadline. These edits are not typical for this company – or at least I hope that will not be typical in the future! This filing was a real test for your services and was amazed at the performance from everyone on your team. I just have to say that I am totally impressed with M2 Compliance so far… your team has been great to work with on our Q coming up, and the turnaround time is phenomenal. They have met and beat every deadline report they have given me. Kudos to your team!! You guys are awesome and quick! Thank you for the revised draft. Thanks for the great job of making numerous revisions and getting everything turned around quickly so that we could file today! Thank you everyone for pulling together this S8 filing today. It was impressive cross company/firm teamwork and very much appreciated. I just wanted send you a note saying thank you for the great service. Thus far, the only thing I don't like about M2 Compliance is that you didn't find me six months earlier. Your team was superb throughout this whole process. I was just about to send a note to you and your colleagues. It was a pleasure working with your organization. I liked the attention to detail and you guys practice that. I look forward to working with you guys. Few press releases, the Proxy and Q1-10Q is coming within the next 45 days! This is our first time using you for a 10-K. We had no financial changes on our last 10-Q and therefore I did not know XBRL protocol with your firm. Our last EDGARizer made us change XBRL separately. I just want you to know, your group is the best and have exceeded all expectations. Thank you very much! You were very responsive every step of the way, kept the pace, and communication channels open to ensure complete accuracy in the filing process. I have to say I am impressed with your team. They have gone above and beyond several times now. I just want to let you know that with the filings you have done today, the SEC has reviewed and cleared all comments. Thanks again for all the work you did on this. On an 8‐K I am filing today, M2 Compliance noticed I had 8‐K/A in the header and called me. Nice work, that's why I use you guys. Thanks for the great work and quick turn around on everything! You guys have been great and I appreciate all your help! 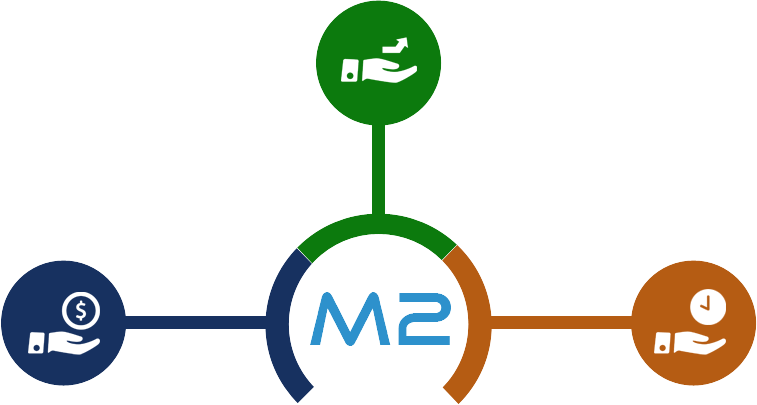 Why choose M2 Compliance?M2 Compliance? © Copyright 2010 - 2020 M2 Compliance Incorporated. All Rights Reserved. EDGAR is a trademark of the U.S. Securities and Exchange Commission. M2 Compliance is not affiliated with or approved by the U.S. Securities and Exchange Commission.